The hack will be on a small scale with an open overworld to explore and around 15-20 stages. Levels will be heavily focused around specific ideas and gimmicks. It contains my very own original graphics based off of a combination of vanilla and SMB3-esque graphics (reshaded and recoloured), as well as some patches to give it a more classic Mario feel. For this C3 I thought I'd release a 7 stage demo, where you can play the stages in any order you'd like. It should be noted that not all the work here is final (the overworld is actually just a placeholder from one of my older works, will look a bit different in final release and much better). No lie, this actually looks kind of neato. I may give it a try when I have time to play it. Thanks, let me know what you think if you get around to it! I played it, here are my thoughts. Level design is really good for the most part, evidently vanilla and yet with twists the vanilla game rarely tries for. I like the creativity evident in the little challenges you present to the player to gain Yoshi coins, rather than just having them sitting there to be taken, though some of them were hard enough that a Yoshi coin did not seem sufficiently rewarding. I liked the OW. I also like that you didn't ditch the cape. There are some instances where I took damage or lost lives because of dangers that were difficult to anticipate. 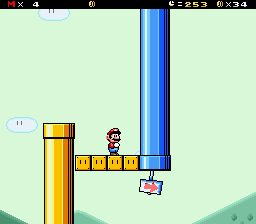 In the first level, I lost a life in the section where you spin jump through a set of blocks only to find another set of spin blocks directly below. Since I could not see what was down there, it took me by surprise and I was killed. You did a pretty good job telegraphing most of these threats, though. To alleviate this specific instance, there was a similar setup later in the same level that dropped you onto clusters of Spinies. That one should come first, because you can't accidentally fail here and when I see the same setup come by again, I will be more ready to not just fall to my doom. Most of the levels seemed to be of end-game level difficulty compared to the vanilla game; I am not sure if that is your intention. I died a lot and I'm no slouch at this game. Overall, my impression was positive. I had moments where I was frustrated, but at no point was I bored and I played through all of the levels. Overall the hack is pretty decent, I like recolors and SMW-ish GFX here, overall presentation is nice. Only thing I noticed is that after ghoost house, OW glitches because of event. Not a big issue, since it's "C3 only", right? Anyways, level by level I go. 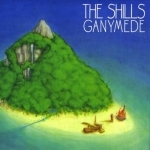 Or shall I call it "SMWDLC: YI1"??? Because it's a fixed version of that level, actually, it have a few more edits to that. Can't really say anything about it, since I already played it. I mean, you fixed those things I mentioned. Which is good. Overall the level is still good. Uhh, I think this level is alright? Last section is the best in my opinion (before door that leads to the goal), otherwise it felt "meh". Also, I'd suggest you to put something like multiple coins block/enemies to make waiting for this boo ring less boring. This level is good, althought message box kinda confused me. I thought that I need bullet that is from the low cannon (because without it I wasn't able todo jump), but I need one from upper one? Yes. However, it can be bypassed if you run at full speed and jump from here, you'll get to the ledge you're supposed to get with bullet. Can't say chucks were used in creative ways, but still, a decent level. I like parts with lot's of swoopers. Churlies. Their baseballs makes mario always lose yoshi which doesn't makes eating pokeys sections fun. Otherwise it's a decent level. Is it VLDCX entry? As Far As I know it is. Anyways, it's a decent level, I especially like part with noteblocks and circles. Isn't a hard level, even for slow me. Overall this level is kind of chaotic, but still, it's ok_hand. Overall it's a decent Demo, there are parts that are *yawns* but for the most part it's good, so I'll give it 7/10. Nice little hack you've got there. The overworld is very pretty and the graphical style, while on the simplistic side, is consistent. I like the idea of an open world hack which lets the player do the levels in any order. A recurring problem in this hack is the very annoying short time limits, which never seem to be enough. Pleasant Path had no real gimmick: it started off as a plain grassland, then it relies on Turn Blocks, then a timed P-Switch section. Haunted Mansion's exit creates garbage on the overworld after being beaten, I assume it's the title screen move recording in Lunar Magic. Banzai Canyon was good, but the info box misleads you into believing that you need a Bullet Bill to finish the level. Chuck Quarry is very easy to break with a cape, you should look into that. Yoshi's Mountain is impossible if you lose your Yoshi and you're never told that. Of course, this is easy due to the abundance of Pitchin' Chucks and Volcano Lotuses. I really liked Fuzzy Heights, it's a simple idea which works out very well. Sonic Overpass is simply just short and easy to skip with a cape. Overall, I enjoyed this. It's nothing too flashy, just good pure level design. It's got some issues, but they should be rather easy to correct. RussianMan's advice is similar to mine. Keep up the good work! Thanks for the feedback everyone! I'm going to respond to it all in this post. - I will look into telgraphing the spinjump that Ten pointed out better. I thought sign pointing you towards the right was enough but I guess not clear enough on it's own. 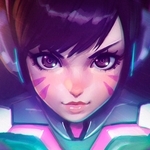 - This stage is supposed to be intro stage introducing the player to basic gameplay. This is why it lacks a gimmick/theme like the other stages. Kind of redundant and I am actually considering taking it out altogether honestly. - I plan to tweak up the boo ring setup to make it less bland, and also spice up the rooms to make them more interesting. - So you technically are supposed to use the bullet bill to make the last jump, but I guess my personal testing was inadequate haha. It was an oversight that you can make the jump without one. - Yes it can be broken with a cape because you aren't supposed to be able to use one here. I plan to make power-ups reset at the end of each stage through a patch for the final version. - I will fix the area where you can get stuck. - I will make it clear you need Yoshi throughout the level. - This level is supposed to be short on time, that's why there are green berries littered throughout the stage. Overall, it's very aesthetically pleasing. I loved your colour scheme and most of the "redrawings" except the Spike Top, that one's looking a bit weird (?) idk maybe it's just me. Pleasant path: has a quite questionable design. At the beginning it looks very empty, regular pipe-to-pipe platforming with a few enemies as obstacles, some shell kicking gimmick... then all of sudden, a spin jumping into spiny section without any warning/previous clue. Then a PSwitch race that's very easy to mess up & die if you're careless. I would say it's too imbalanced for 1-1 level even though it might not be an actual 1-1 level, but as for the beginning of the level it feels like it. Banzai canyon: bullet jumping is already inconsistent as it is, making it the main (or one of the the) gimmick is very questionable. I'm not a design expert but I feel like you could've used bullet shooters with actual hazard intent rather than as an moving one-tile platform. Chuck quary: Feels very empty and unfinished. The chargin' chuck gimmick can make for a very interesting design but I feel like you didn't commit to it enough! I'm not comparing you to others but rather, I'll give you a example: I just played Lolyoshi's new c3 hack and it had a level named "Melanoma" where it used the chargin' chuck mechanic together with some Mega mole setups. The chuck gimmick specifically was very well explored and it made for an entertaning level to play. Of course his hack has an difficulty level different from yours, but still it's a very good example of chargin' chuck + bricks usage! 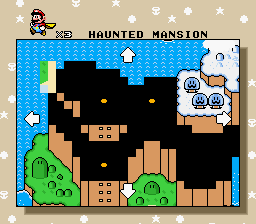 Haunted mansion: It's very well designed, and just like you wanted to, it plays very similarly to what an SMW ghost house would. Very simple level, nothing too fancy but still quite fun! I wouldn't remove the boo ring at all. 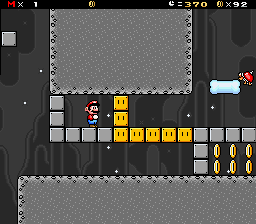 Smw had various instances where it made the player wait for boo ring cycles so he could progress, and I never thought it was annoying back in the day. Of course, depending on where you place it, it can become annoying really fast, but it's not the case in Haunted mansion. Fuzzy heights: I didn't quite had the oportunity to play your vldcx entry before, but I've seen a video of it and I liked it. When I first saw it in the hack I was like "oh so it's that level", I was already expecting it to be good and it didn't dissapoint. Very well designed, good platforming and enemy/obstacle choice. Overall, pretty sweet. Sonic overpass: My favorite! It's very chaotic but nothing too unpredictable or very hard to deal with. Lots of platforming and precision jumping/trash avoiding. I actually beat it more than once because I thought it was pretty fun. To be honest, this hack inspired me. I had an somewhat similar project where I'd recolour/redraw some of the vanilla assets and sprites to make it look smoother, but honestly I couldn't reach what you did with your mario tilemap. It's looking neat! Most of the sprites too. I will keep on going with my project, thanks for fueling me up dude. Quite the long review, but I hope it helps.